A long day on the homestead of gardening and caring for the animals requires refreshment. While water is satisfying, and necessary, there are times that you want another option. It’s easy during those times to reach for a soda, or other sugary drink to quench our thirst. When my kids were little, I used to make koolaid by the gallon, especially during the summer. 1 cup of sugar, 1 little packet and water were all I needed to make their day complete. I was the hero mom in the neighborhood as well, since I made enough for ALL the kids to share. All that sugar and dye? Ugh, if only I had known then what I know now. I would have never given that much sugar to my kids, or anyone else’s kids. What I was making was basically sugar water all colored and flavored artificially. Chemical beverage storm, anyone? I still wanted to make something light, refreshing and delicious for my family to drink. Something a bit sweet, yet not full of dyes and sugar. What’s a mom to do? They sit down with their best friend, making a bunch of tea blends and have inspiration hit them like a brick. What we came up with was amazing. I give you lavender rose lemonade. It’s light, refreshing with just a sweet hint of tangy goodness. Lavender flowers give it a light flavor, while the aroma is soothing. Rosehips are responsible for the light pink color and boast added vitamin C. Lemon juice gives it that tart tang we all love in the summer. Sweetening this with stevia, CocoMonkey or even honey cuts the processed sugar down. All around win-win. No more sugary koolaid for this family! To make large batches easily, keep a mason jar full of equal parts of lavender flowers and rosehips. Cap tightly and shake gently to mix. Label and store in a cool, dry place. Add 1/2 cup of the blend for each batch. What’s your favorite summer time drink? 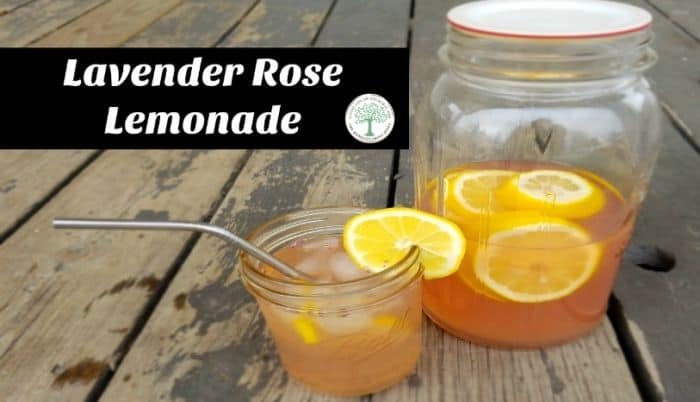 Will you make this lavender rose lemonade? Be sure to pin this for later! Delicious and refreshing lavender rose lemonde. Make with all natural, herbal ingredients that you can feel good about! 5 doonks stevia adjust to taste. In a tea pot or quart mason jar, add dried herbs. Boil 1 quart of water and pour over the herbs. Allow to steep for 10 minutes, then strain the herbs out. Toss in the compost. Add lemon juice and stevia (to taste) and stir well. Add cold water and stir. 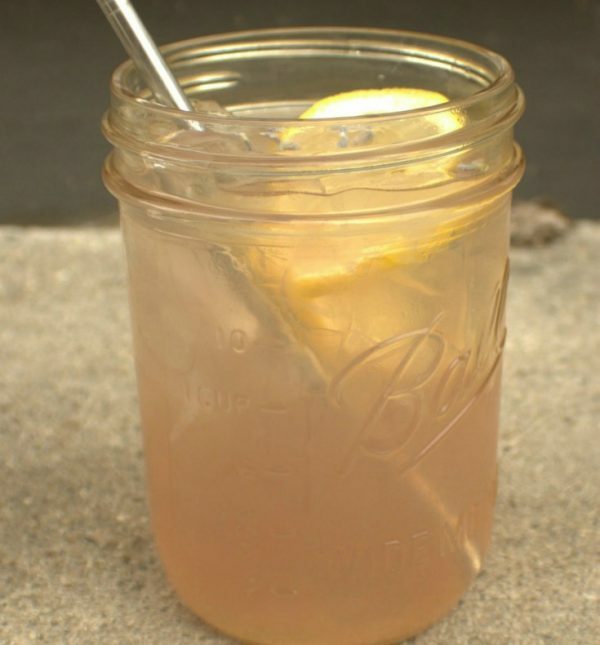 You can also substitute honey, coconut sugar or even CocoMonkey in this lemonade. If using honey, add it before adding the cold water to allow it to dissolve into the lemonade. How many drops would that be? Start with 2-3 drops, add to taste.